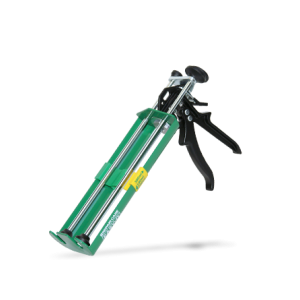 Elastic repair compound for large timber repairs and splicing (paintable after 16 hours*). 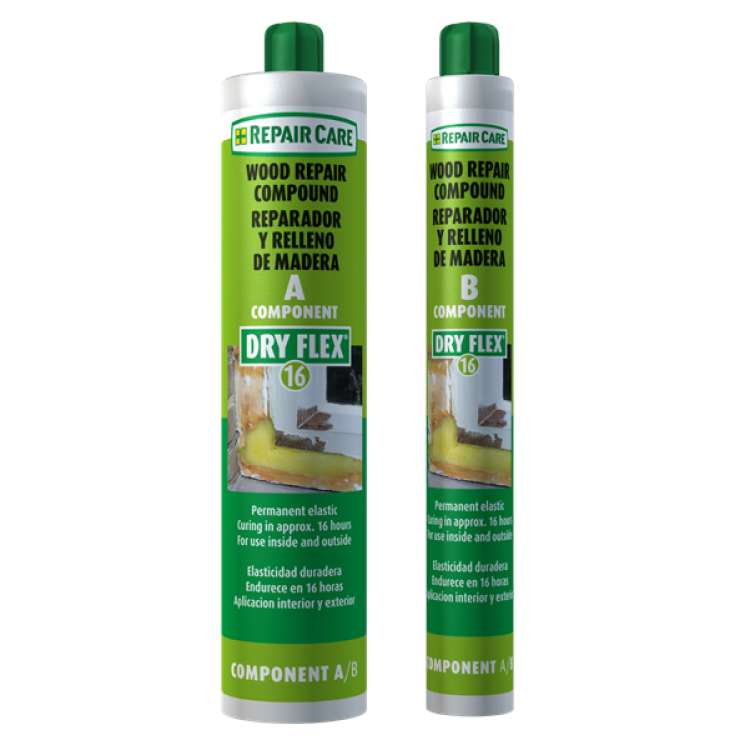 Ideal for the permanent repair of decayed and damaged wood. 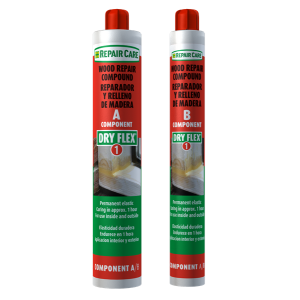 Suitable for large repairs and projects without time constraints. • Very long application period of up to 2 hours at 20ºC. 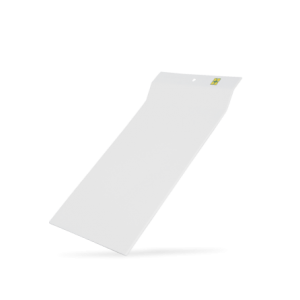 • Quick and easy to apply with excellent modeling qualities and slump resistance. • Permanent, elastic repairs. The cured product accommodates natural movement in the timber. • Short curing time: can be sanded and painted after 16 hours*. • Once cured, the product can be treated like wood (planed, sawn, nailed, screwed, painted and stained). 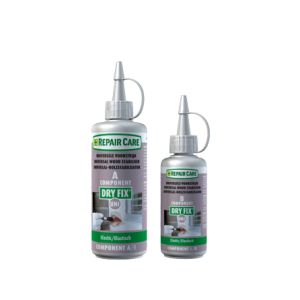 • Can be used on large repairs. The permanent repair of decayed and rotten wood, including windows, doors, fascias/soffits, stairs and furniture. 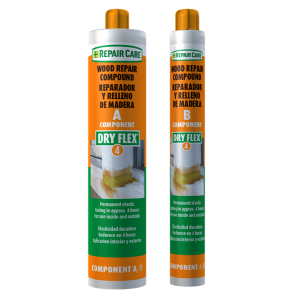 The quick emergency repair of damaged wood. The filling of cracks, gaps and construction joints. Remove all decayed wood and pre-treat with DRY FIX® 16. Dispense DRY FLEX® 16 on to the mixing plate with the EASY•Q™ dosing gun (with the tab in the rear position). 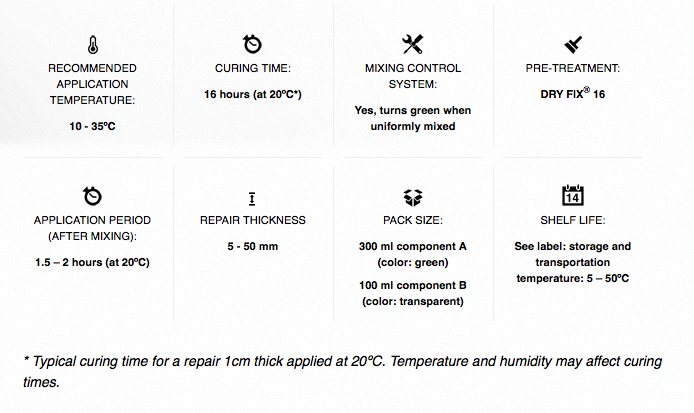 Mix components A (green) and B (transparent) with the EASY•Q™ application knives until a homogeneous colour is reached. 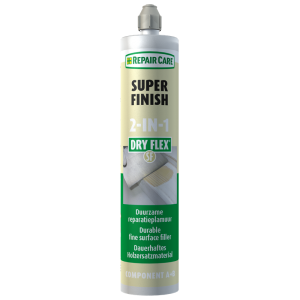 Spread the mixed DRY FLEX® 16 in a thin layer over the mixing plate (to extend the application period). 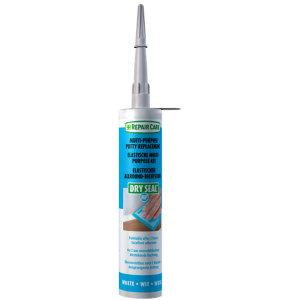 Apply DRY FLEX® 16 and immediately remove excess product. 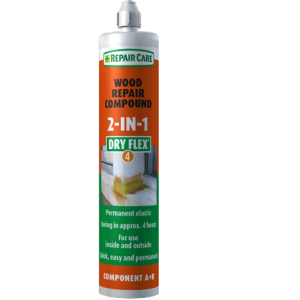 Repair Care Dry Flex 1 Elastic repair compound for very fast timber repairs and splicin..
Repair Care Dry Flex 4 Elastic repair compound for fast timber repairs and splicing (paintabl..
Repair Care Dry Flex 4 2-IN-1 Elastic repair compound, supplied in a single cartri..
Repair Care Dry Flex SF 2-IN-1 Durable fine surface filler for quick, durable spot repairs on..
Repair Care Fix Uni Universal wood stabiliser for all DRY FLEX® repair products Ensures m..
Repair Care Dry Seal MP Colour: White Multi-purpose putty replacement. Ideal as a per..
Repair Care Easy Q Mixing Plate Mixing plate for use with all types of DRY FLEX®. 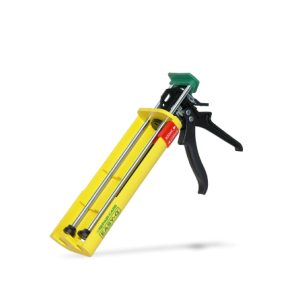 ..
Repair Care Easy Q Lightweight Plastic Dosing Pistol Lightweight double barrelled ..
Repair Care Easy Q Heavy Duty Metal Dosing Pistol Heavy duty double barrelled dosing gun for ..